Much of my research looks at how experiences of stigma are bad for people’s health. We see that stigma makes people more stressed, more depressed, more ashamed… more of a lot of bad things. Research that seeks to prove that stigma is bad, measure how bad it is, and explain why it is bad provides us with important evidence of stigma’s harms. Yet, it misses other ways in which people react to stigma. An important way that people react to stigma is to engage in activism in hopes of changing society. The history of HIV is bursting with examples of people fighting back, or acting up, in response to stigma. 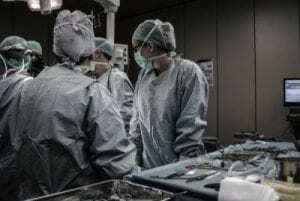 We can argue that this activism has led to critical structural-level changes that have helped PLWH, such as access to life-saving medical treatment. We know less about whether or how this activism might affect people at the individual level. Does activism lead to greater or worse well-being among PLWH? I worked with two of my favorite activists, Lisa Rosenthal and Shawn Lang, on this paper examining relationships between experiences of stigma, activism, and well-being among PLWH. We wanted to explore two things. First, which experiences of HIV stigma are related to activism? Do people who have experienced enacted stigma, or discrimination from others, engage in more activism? Perhaps people who have experienced stigma are mad, and want to change society so that they don’t continue to have these experiences. Do people who have internalized stigma, who feel worse about themselves, engage in less activism? Perhaps people who internalize stigma don’t believe that social change is needed, because they feel that discrimination toward them is justified. Second, how is activism related to well-being? Do activists have better coping skills? Are they better connected to other PLWH? Are they less depressed? We used data that we collected from 93 PLWH recruited from drop-in centers, housing programs, and other organizations providing services to PLWH in CT in 2012 and 2013. Participants completed a cross-sectional survey measuring HIV stigma mechanisms, activism, and well-being. We found that enacted stigma was associated with activism: People who reported more enacted stigma identified as HIV activists to a greater extent and engaged in more HIV activism. Interestingly, internalized, anticipated, and perceived public HIV stigma were not related to activism. We also found that activists generally reported greater well-being than non-activists, including greater social network integration, stronger social well-being , more active coping with discrimination, and stronger sense of meaning in life. Yet, activists also reported slightly more depressive symptoms. This concerned us given that depressive symptoms are associated with poor health outcomes, including lower medication adherence and greater HIV disease progression. It’s possible that activists experience burnout, which leads to depressive symptoms. What’s the bottom line? It’s complicated. At the individual level, activism seems to be related to several important aspects of well-being. But, activists may also experience more depressive symptoms. At the societal level, activism leads to important social and policy change. Engagement in activism is a personal, sometimes difficult choice. My dog and I will keep at it, while also engaging in self-care activities. 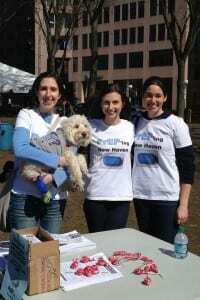 Here we are PrEP’ing at the 2014 AIDS Walk in New Haven with Sarah Calabrese and Kristen Underhill in 2014. For more on righteous HIV activists, read And the Band Played On and watch How to Survive a Plague.